Actor Ashton grew up in Iowa which is a hotbed for wrestling. Like most Iowans, he wrestled all throughout his chilhood. 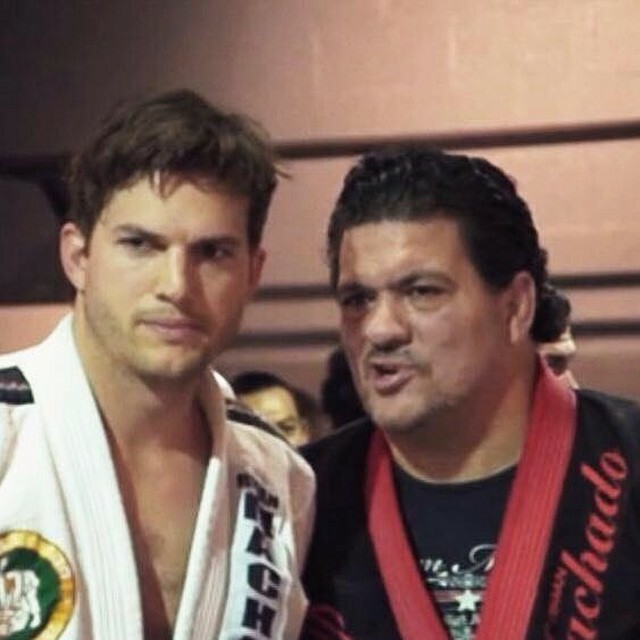 He started training under coral belt Rigan Machado in California about a year ago. While on trips abroad he has trained namely at Ricardo De La Riva’s in Rio de Janeiro and Roger Gracie academy in London. 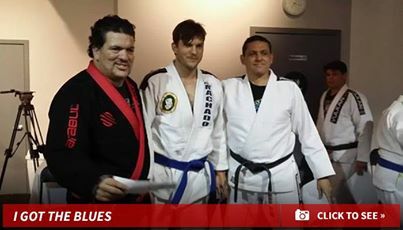 He recently got promoted to BJJ blue belt under Rigan Machado. Ashton: I wrestled a lot in high school in Iowa, and when you get older, it’s hard to find a place to wrestle. So the closest thing I found to wrestling was Brazilian Jiu-Jitsu. Ashton: It’s sort of like a mix between Judo and Wrestling, with a focus on submissions. Interview: Oh, the stuff Rickson Gracie does? Ashton: Yes. There are two major families that do Brazilian Jiu-Jitsu: The Gracies and The Machados. I’m under the Machados. Interviewer: Are you any good at Jiu-Jitsu? Ashton: No, I’m not…Even if I was, I would never say that because some guy could just come up to me in a bar and try to test me. That usually happens when you’re a celebrity. People want to fight you (laughs).